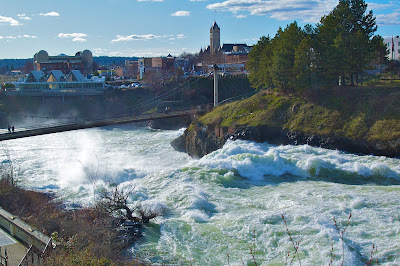 I believe the Spokane River is slated to crest on Wednesday. I stopped by the new lookout above the now-reclaimed area where the "Y" used to be and took some photos. This river is wild.